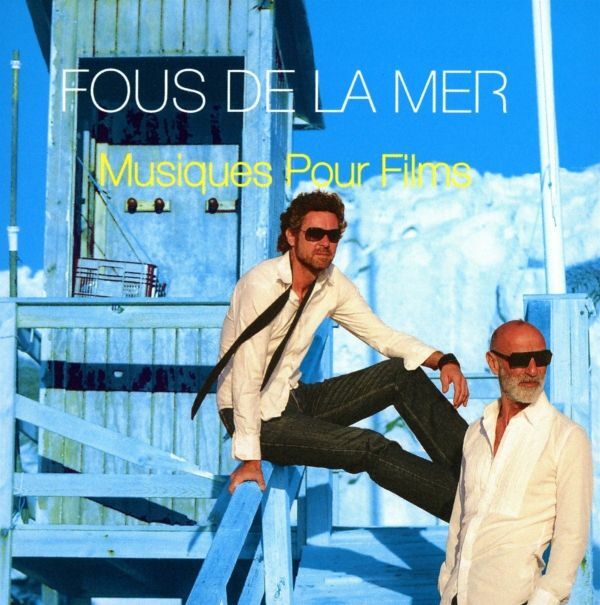 Fous De La Mer are back with their latest album Musique Pour Films. And as the title hints the German-Frenchelectronic duo captures the full spectrum of their capabilities onto the acoustic canvas. Music that produces images,as the musicians describe their sound that is inspired appropiately by movie titles. Films that caused unforgettablemoments and that have accompanied the band over the years.Musique Pour Film begins with a tribute to David Bowie, who played the leading role in The man who fell to earth.With For The Man Who Fell To Earth there could hardly be found amore beautiful opener, which marks their personalfarewell to the exceptional artist after his unexpected death.But the ones expecting a pure listening album are proven wrong quickly. Downbeat and breakbeats (Sur L'IleMystrieuse) meet disco and IDM vibes (On A Ship Of Fools), Ambient and Chillout moods (En Plein Soleil & A LaPiscine) get connected with electropop (La Nouvelle Vague ). Fous De La Mer draw on a rich pool of differentvarieties of electronic music. For their album the two musicians merge the styles of electronica with acousticelements. A combination that is convincing since the mixture of a keyboardist and a bassist has proven to giveexceptional results for a long time as you can see in bands for the likes of Air. With Musique Pour Films the Duogoes a further step on their way in breaking musical boundaries. Rarely an album was so diverse and yet so coherent.Listening to the album creates a feeling as one looks back at the many wonderful moments of the collectedcinematographic works that Fous De La Mer reminisce for us. Like good old friends they appear as songs and letus immerse in the worlds of their models. With Endless Summer the two conclude the album while delivering theperfect happy ending for all lost hippie hearts that like us look towards the sunset on the beach. Most of Fous De La Mer's songs are recorded with atraditional approach, using real instruments such as guitar, piano, bass and double bass, and accomplished by fine electronic elements and a base/groove reminiscing deep house. Fous De La Mer's live set exhibits a touch of wonderful summer heat and pop music, conjuring up a cocktail of natural sounds and electronic elements influenced by dub and deep house. A collection of fine and elegant sounds from the shores, dub, trip hop rhythms mixed with sensual mermaid songs. International jet setters and fast lane free travelersalike choose this music as a soothing soundtrack on a sojourn across the European landscapes... Starry nights, oceans, fresh air and relaxed minds ...Chill Out with attitude. Mix from Electronica, Jazz, Breakbeats and Soundtrack.Chilling Visuals as seen in FLOWMOTION TV. What exactly has happened to all the Chillout Floors? Once being an indispensable place for cozy hangouts and reliefat every good party, they calmly dissipated in the last decade. They were eventually replaced with second and thirdfloors, all with the same standardized four to the floor sound without attitude. And now Noom Caf come with analbum that sounds like being made in the best times of the Chillout Era. Is there a Chillout revival coming upon us?For Noom Caf this is not the question. They live for relaxed beats and low key soundscapes ever since. Their newAlbum Beyond Time, released by the Frankfurt label Elux, is like a fresh breeze on a Balearic evening in summer. Two years have passed since 'Beyond Time' conquered the hearts of all the fellow space cadets from Ibiza toFrankfurt. Regardless of time and space, 'Electronica' is a worthy follow-up album. 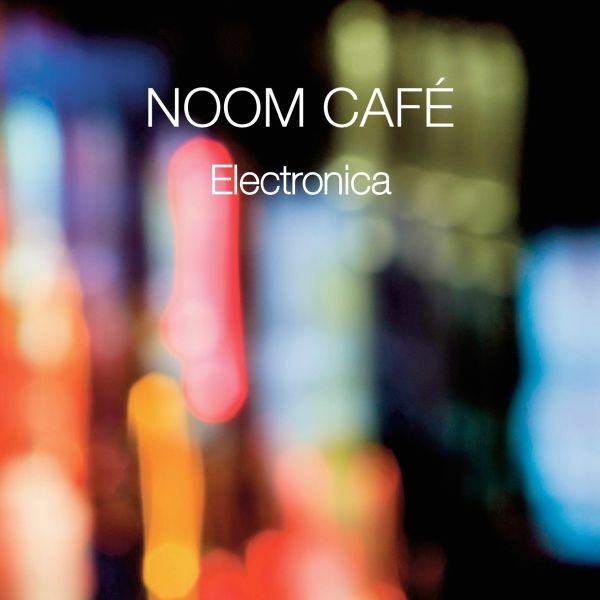 The album 'Electronica' by theprofessional chillers of Noom Caf� is ready to enchant the listener with its Balearic charm. And like the title track'Electronica (La Droga)' already announces, no limits are known for the heady cosmos of electronic sounds. 20 tracksmade their way onto the album, too many to highlight each one of them. Noom Caf� draw on unlimited resources oftheir fundus. Ambient tracks ('Polaris', 'Solaris') invite the listener to dream oneself to the most remote places of theuniverse. Reclined Broken Beats of the Viennese School ('On My Way') take on romantic Balearic synth tracks.Cinematic moments evoke reminiscences of foreign countries and undiscovered archipelagos. Here stories are toldand associations are being played with. Songs like 'Sand in the Desert' and 'La Isla' set the course for an endlessjourney. But where does this journey lead? For Noom Caf� it is always a journey to one's self: The living utopia of aconsciousness in harmony with the environment. Taken as a whole 'Electronica' represents a retrospective. It replacesgenre boundaries with dazzling fusion. Each song participates to develop the foundation of a message that seems tostand above all: We are one. At the end of the album we finally celebrate the return from a long journey togetherwith Noom Caf� and their friends. The bass drum moves to the fore again when the remixers take over to end theday with a boisterous celebration. And we are already looking forward to the next adventure. What happens when you combine the ease of a charming voice with the love of experimentation ofabstract electronica and traditional Brazilian instruments? 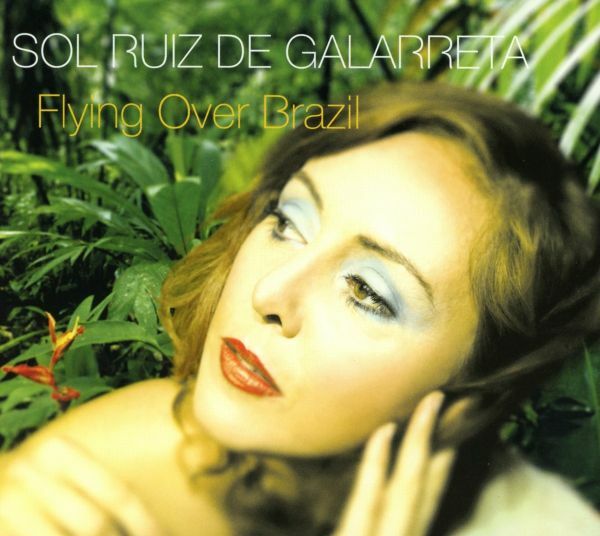 The result is a unique blend that in this form can only beheard on the new album by Sol Ruiz de Galarreta entitled 'Flying over Brazil'. With a pinch of Bossa Nova,combined with a touch of electronics, argentinian singer Sol Ruiz de Galarreta and her two producersMarko Bussian and Jean-Charles Vandermynsbrugge create a refreshingly unique sound. 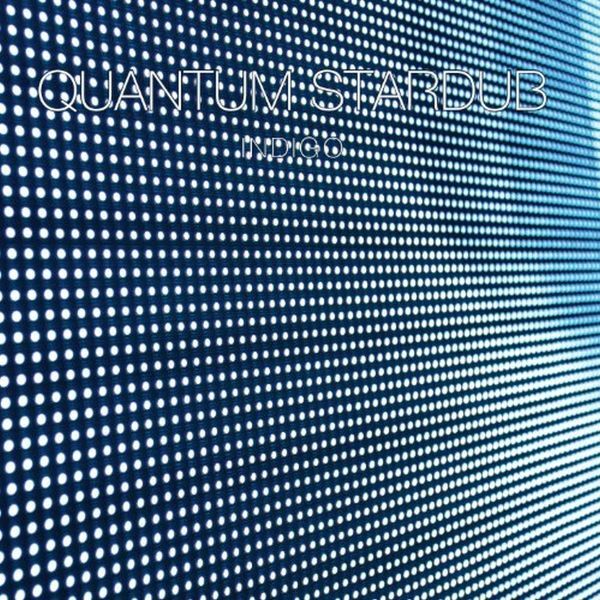 Subtle beats dancearound relaxed guitar lines to create the perfect surrounding and give Sols wonderful voice the necessaryspace. New Interpretations of Bossa Nova Classics, the declaration of Love by a south american Singer to thismusic, with a couple of songs by Antonio Carlos Jobim, one of the most acclaimed composers and performers of thisgenre. And the recipe just works, as one can hear on the new Longplayer on Elux Records. The album starts outquite classic in the tradition of the Brazilian Music ('Barquinho'). Quickly Sol leaves those beaten paths and looksfor inspiration in acts such as Plaid and Massive Attack ('Wave'): Downbeat meets Electronica meets BossaNova. This could be a brief description of her style. But even this is only an attempt, as Sol knows how to weavetogether such different styles without ever fitting into any musical clich. Broken rhythms take over the lead later onthe album. Smooth DrumnBass with a touch of Samba and Bossa ('Agua de Beber') stands aside elegant Downbeats('Chega de Saudade'). 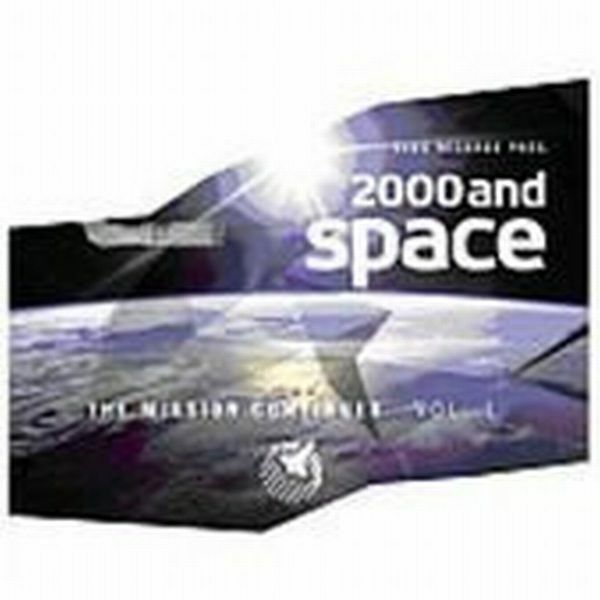 From Elux (former Elektrolux), the creators behind late-night TV shows "Space Night" and "Flowmotion": "2000 and Space"! A deep and ambient voyage through time and space. With Gui Boratto, Tycho, Luna City Express, Dan Curtin, Gabriel Le Mar and many more!